This prop comes to you fully assembled and tested. The above video acts as the product video manual. Are you looking to create a secret room that is opened by using voice commands? Look no further! Below, there are instructions on how to easily program in your own voice commands. 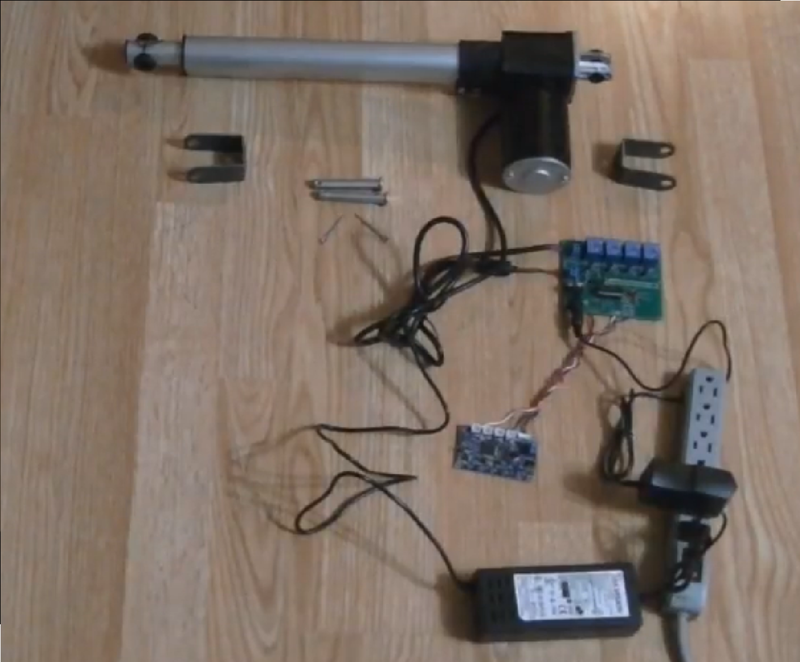 This prop features a 12v linear actuator (Includes all of the relative mounting hardware), a control board, a speech recognition board (ES8929P), a 9v 1A AC-DC wall adaptor, and a 12v 5A AC-DC wall adaptor. All of which comes to you fully assembled and tested. This prop comes with a two day lead time. Command#1: "Code word" (You can program in any code word that you'd like). Another example would be "Alpha" or "cucumber". By slowly and concisely saying your code word, then "Door", then either "Open" or "Close" you'll execute either the linear actuator extend or retract program. If you take too long between saying the word commands, then the program will reset. After saying each word, you'll want to wait about two seconds before saying the next command, as seen in the above video.